I recently came across a study that examined how two brothers who are both professional baseball players approach the game differently. The Berkeley researchers actually had a pretty good sample size to work with – over 700 brothers have played in the majors. Their hypothesis was that the younger siblings take more risk. 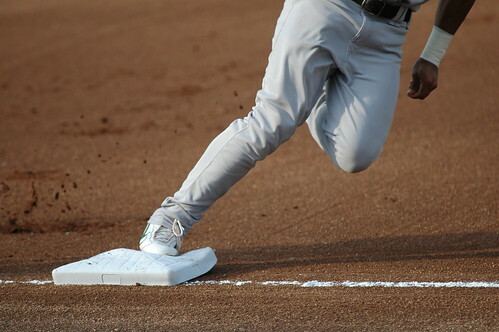 Stolen base attempts are the most obvious element of the game to inspect. The result? Younger brothers are 10.6 more times likely to steal. They also noticed the younger brother is more likely to be hit by a pitch which means they probably crowd the plate slightly more. The research paper even extends beyond baseball as well – younger siblings are more likely to engage in dangerous sports across the board like football and skydiving. This study is not proposing any new theories – older siblings are generally more conservative and younger ones take more risks. So why is it cool? Well first, I appreciate that it relates this idea to baseball. More importantly, other studies have shown that risk takers are happier overall. Thus, through the transitive property of equality, younger siblings are happier. QED. Don’t worry, you are still the parents’ favorite! Your theory fits perfectly with me skinner. I’m the youngest, and I for sure take more risks than my brother and engage in riskier activities like skydiving/bunjy jumping/etc. When you start eating meat again then I’ll think it applies to you too. Dude – no one wants to be the middle child and no one wants to be lied to! There’s no way Lisa is the favorite! Nice try lil’ boy.